Madrid - Stung by Neymar's decision to join Paris Saint-Germain for a world record €222 million, Barcelona need to act fast to find a replacement with less than four weeks to go until the transfer window closes. Targeted by Barca even before his international teammate jumped ship, Coutinho ticks many of the boxes in Barca's search. At 25 he is the same age as Neymar, already has experience of what it takes to shine in La Liga from a loan spell at Barca's cross city rivals Espanyol in 2012 and is a former teammate and friend of Suarez. However, faced with the ultimate seller's market, Barca's problem will be prising Coutinho out of Liverpool. Despite being flushed for cash themselves from booming Premier League TV contracts and a return to the Champions League, Liverpool have so far failed to land their primary targets in Southampton's Virgil van Dijk and Naby Keita of RB Leipzig, and are therefore even more unlikely to buckle to pressure from Barca as they did in selling Suarez back in 2014. At just 23, he could be the perfect heir to Messi's throne. Until Neymar's departure, Barca had been one of the few big clubs around Europe not linked with the 18-year-old sensation after a breakout season in which Monaco beat PSG to the Ligue 1 title and reached the Champions League semi-finals. Barca's bitter rivals Real Madrid remain best-placed to capture Mbappe, but with doubts over whether he could displace any of Real's regular front three of Cristiano Ronaldo, Karim Benzema and Gareth Bale, Barca may prove a better option for the Frenchman. Moreover, having been embarrassed by Neymar's departure, beating Real to Mbappe is one of the few ways in which Barca's beleaguered board could get the fans back on their side. Dembele made a brave decision last summer to resist the advances of Barca and Madrid to move to Dortmund from Rennes and ensure his development wouldn't be restricted by a lack of game time. And of those rumoured to be on Barca's wish list, Dembele appears the easiest to get out of his current club. 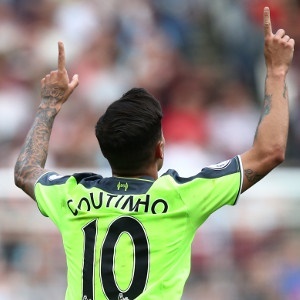 However, as in the case of Coutinho, convincing Premier League sides to cash in on their stars has become an increasingly difficult task in light of the record breaking TV deals - even for Barca. "These are rumours. Eden is very happy to stay with us and to start the new season," said the Italian.